The Bronx Zoo is now home to not one, but two tiny western lowland gorillas — the first to be born in the zoo since 2006. Details about the babies are scarce so far. 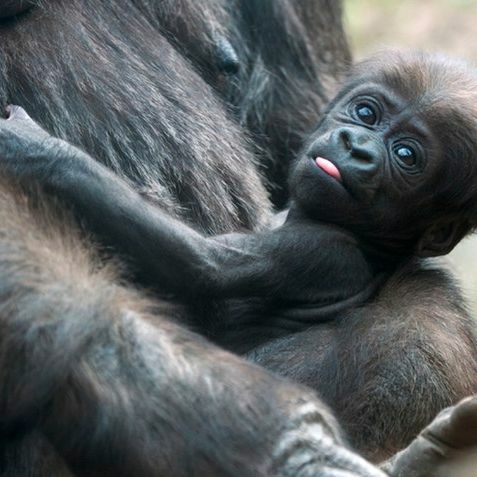 The zoo has not publicized their names and genders, though we do know that they belong to female Congo Gorilla Forest residents Julia and Tuti, who gave birth on March 10 and last Thursday, respectively. Luckily, the gorillas’ human keepers knew that they couldn’t make this kind of announcement without giving the public what they really want from newborn animals: an adorable video. As you can see below, the footage does not disappoint. The large-eyed babies are capable of all kinds of cute things, including — but not limited to! — yawning, blinking, napping, sunbathing, waving their arms around, sticking their hands in their mothers’ mouths, and accepting hugs. People will be able to see the new gorillas in person at the zoo sometime this spring, depending on the weather and temperature.They might be slightly less little by that time.